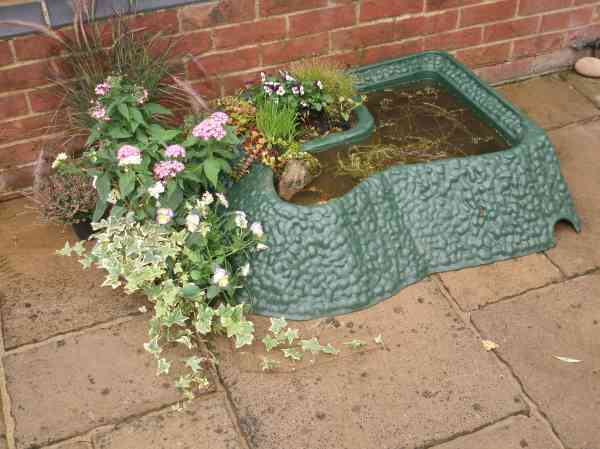 Making your Lifepond safe for children is easy with the pre assembled SafaDeckTM from SafaPond Direct Ltd. The SafaDeckTM allows you to maintain all the key benefits of the Lifepond as well as giving you the security against the risk of drowning. SafaPond Direct Ltd has been approved to be used with the Lifepond as an essential safety measure. The SafaDeckTM and Lifepond can be ordered together or separately from us. More information on the SafaDeckTM safety grid system for ponds can be found by clicking here. Lifepond was created to provide a totally unique garden wildlife pond. 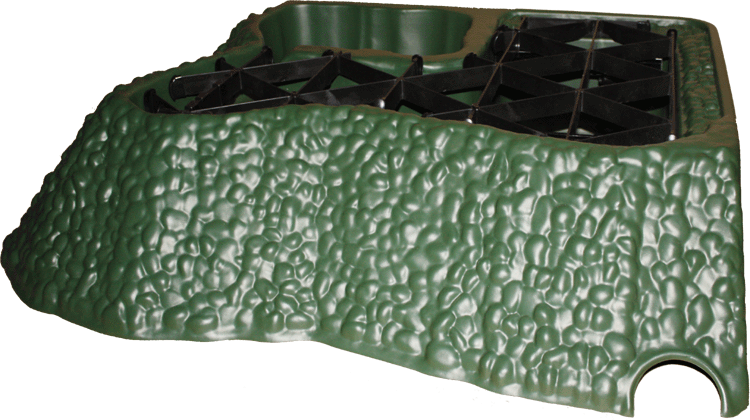 Lifepond has been manufactured to create a habitat especially for creatures that can appreciate a small garden pond. Lifepond provides a deep water area where creatures such as frogs and newts can go during the breeding season. Linked by a slope, the shallow water area of Lifepond will also attract insects such as dragonflies, butterflies and water boatmen, and birds also will delight in bathing and having a source for drinking water. A planting area with a special irrigation channel allows marsh plants to thrive and provides a haven for butterflies and amphibians. Built-in are sunning areas, easily scalable sloping sides and a wildlife haven beneath the pond. 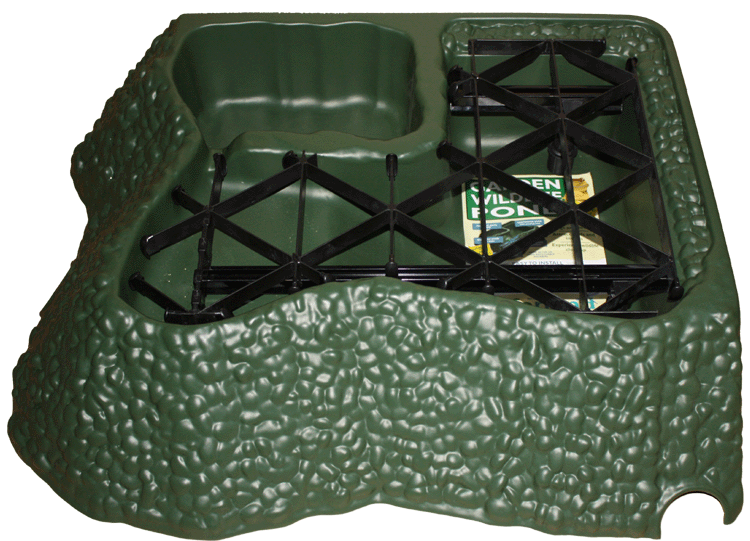 Lifepond provides a ready-to-use all-in-one habitat to allow you to see garden wildlife close-up. One compact unit combines a small marsh garden, shallow and deeper water areas , a sunning area for amphibians and a refuge for creatures such as toads. A pre-formed pool which is easy to install without any digging and can be moved as desired. An educational tool to help children understand wildlife. Just add compost and recommended plants [not provided] to the marsh area and watch for results! 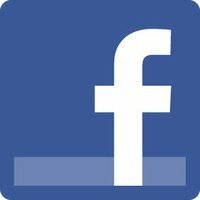 Order your SafaDeckTM to make your Lifepond safe by clicking the add to basket button below. Delivery is around 2-3 working days and the kit comes pre assembled ready to be dropped into the Lifepond. Copyright 2009 © all right reserved.